Dr. Lisa DiBernardi graduated from Louisiana State University in 1999. Her internship followed at Veterinary Specialists of South Florida. She went on to complete the first of two oncology residencies, one at Purdue University in medical oncology and a second at LSU in radiation oncology. Afterwards, she worked in San Antonio, Texas at GCVS’s satellite clinic for one year. Dr. DiBernardi is one of a small number of oncologists who are board certified in both medical and radiation oncology. In addition to seeing patients, Dr. DiBernardi volunteers her professional services at special event venues with the canine detection teams. She also has treated several cancer patients at the Miami Metro Zoo and Shy Wolf Sanctuary. 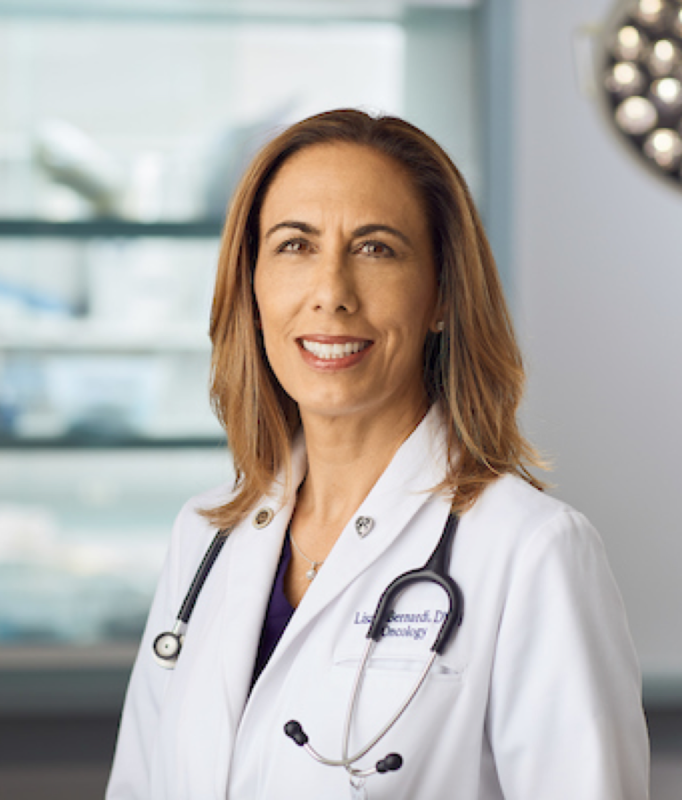 Dr. DiBernardi’s professional interests include clinical pathology and pain management with a focus on improving the patient’s quality of life. Dr. DiBernardi is always genuine and truly cares about Sadie.